It is not uncommon for office employees and freelance workers to receive up to 100 e‑mails a day. In order to avoid staying after hours just to catch up with your emails, you need to employ the right email management strategy. See below eight effective methods to manage your inbox like a pro. First of all, you should determine the times of high and low productivity. After that, devote the high-productivity period to fulfilling the most complicated tasks, which require maximum precision and concentration. When you are feeling least energetic, reply to your emails, book meetings and complete your other, less demanding chores. Experts in effective email management recommend to check your emails and reply to the messages only a few times a day. Some email software products enable you to set your inbox to ‘receiving’ mode when you’re working on it, ensuring that all messages will come only at certain, predefined times. David Allen, the author of a highly successful book, Getting Things Done, has come up with the idea that has revolutionized the way we look at email communications. His two-minute rule states that if it takes less than two minutes to read and respond to a message, it is better to do it right away, instead of adding it to your ‘to-do list’. Employing Allen’s rule will boost your performance and help you stay productive at all times. If you often send similar emails, it is best to create template replies. They can be grouped in categories like feedback, thank-you email, user guidelines, and confirmations. Managing and customizing the templates take less time than writing each e‑mail from scratch. Create settings that will manage low-priority emails, like database maintenance, sales finalization notices and automatic replies. Obviously, you want to keep them to refer to later on or just to see what’s happening, but it is a smart idea to separate them from the more important communications that will need a reply. 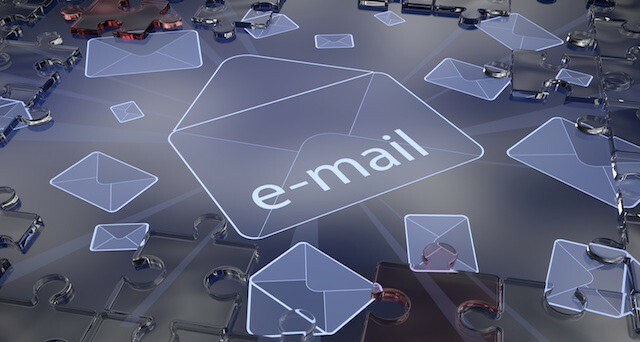 All specified emails should be redirected automatically to assigned folders. Some email services will send you an instant new email alert every time someone writes you a message. A little balloon popping up in the lower right corner of your screen will divert your attention, make you check your inbox more often and consequently hinder your productivity. To make your inbox work to your advantage, we advise you to turn off all audible and visual notifications. A sea of unorganized emails keeps some of us awake at night. Fortunately, one quick tip will help you keep your inbox in order. A key to effective email management is categorization. Organize your incoming mail into folders and subfolders, with the use of custom-made categories and labels. The most popular email software products enable you to group emails as you please, however we strongly recommend to organize them by clients, tasks, projects, and finance related issues. Do remember to employ the right naming convention. A cluttered inbox, filled with old, unopened or unimportant messages can have a negative impact on your productivity. Highly organized people do stick to one more rule — zero inbox at the end of the day. Copy unanswered emails to your calendar and make them a task for the following day instead of marking them as unread. Unsubscribe from all newsletters that you never read and delete those messages that you’ll never refer back to. On the one hand, emails are less intrusive than phone calls, on the other, they can be a source of distractions. With the help of these effective email management techniques, you will be able to take control over your inbox in just eight easy steps.